Marlborough Sauvignon: too much of a good thing? Some milestones make you think. Next year will be the 30th anniversary of the founding of Cloudy Bay, one of the most successful wine brands ever, and a label that helped to launch an entire region. Montana (now Brancott Estate) may have planted the first commercial vines in Marlborough in 1973 – Cabernet Sauvignon and Müller Thurgau followed, two years later, by Sauvignon Blanc and Pinot Noir – but Cloudy Bay was the winery that fired the public’s imagination. Cloudy Bay’s initial success was due to an amalgam of factors: a great and distinctive Sauvignon Blanc, an eye-catching label and smart marketing. People were encouraged, almost from day one, to believe that the wine was on allocation and that they were lucky to secure a precious bottle or two. Scarcity, even perceived scarcity, creates demand and consumer one-upmanship. The Cloudy Bay effect and Marlborough’s ensuing Sauvignon Blanc boom have been remarkable. The region currently grows 17,731 hectares of the variety – nearly 4,000 ha more than the whole of France – and is the main reason why Sauvignon accounts for 63% of New Zealand’s plantings and 72% of its total crop. And all that in the space of 40 years. Sauvignon Blanc has driven sales of Kiwi wine overseas, too. Of the 53 million litres exported to the UK last year, 45.9m were Sauvignon Blanc. The figures are pretty similar in Australia (45.5m out of 54m) and the US (47.7m out of 50.5m) and point to a simple conclusion: consumers love Sauvignon Blanc. In fact, let’s be more specific, since this one region has nearly 90% of New Zealand’s plantings: consumers love Marlborough Sauvignon Blanc. The success story doesn’t stop there. We all know that the average price of a bottle of wine in deal-obsessed, supermarket-dominated Britain is £5.42. But New Zealand enjoys an average price of £7.34. (The only country that sells more wine over £7 is France.) The fact that consumers are prepared to pay more to drink Kiwi wine is largely down to the image of Marlborough Sauvignon Blanc. What’s remarkable about this is that the stuff is comparatively cheap to produce. Most Marlborough Sauvignon Blanc is high-cropped, machine-picked and grown on fertile soils. It’s bulk fermented in stainless steel and bottled within weeks of the harvest. There are no costly oak barrels, no waiting around to sell the wine. Even Champagne, a region that knows about profit, has to age its wines for at least 12 months on lees. There are vintage variations, to be sure, but these tend to affect the quantity more than quality of Sauvignon Blanc. In many ways, Marlborough Sauvignon Blanc is the wine world’s perfect storm. Growers like growing it, retailers like selling it and punters like drinking it. Even if you leave aside the fact that Sauvignon Blanc, with 85% of New Zealand’s retail pie in the UK, dwarfs Pinot Noir (4%), Chardonnay (4%), Pinot Gris (1%) and Merlot (1%), which deserver more attention, what is there to complain about? Marlborough makes some fantastic Sauvignon Blancs. Just taste the wines from Dog Point, Greywacke, Saint Clair, Blind River, Seresin, Jules Taylor, Staete Land, Vavasour, Churton, Astrolabe, Isabel, Fromm and Jackson Estate, as well as some of the premium bottlings from Villa Maria, Yealands and Brancott Estate. I’d also encourage you to give Cloudy Bay another try. Its 2014 is the best release I’ve had since the company was bought by the luxury goods’ firm LVMH in 2003, even if the £20+ price tag remains ludicrously high. And yet those aren’t the wines that most people drink. The Marlborough Sauvignons that sell best are the ones that are on deals. And these, I believe, are the wines that are slowly eroding consumer confidence. I’m tempted to compare them to cheap Pinot Grigio because of their blandness, but a more accurate parallel would be with entry point Australian Chardonnay. In the days of Chardonnay Girl, this was almost the UK’s default white wine, sold (like Kiwi Sauvignon) at a higher price point than the market mean. But just as producers had begun to take consumers’ tastes for granted, they changed. Aussie Chardonnay had too much oak, it was too soft, it was too fruity. It was naff. Could a similar thing happen to Marlborough Sauvignon Blanc? 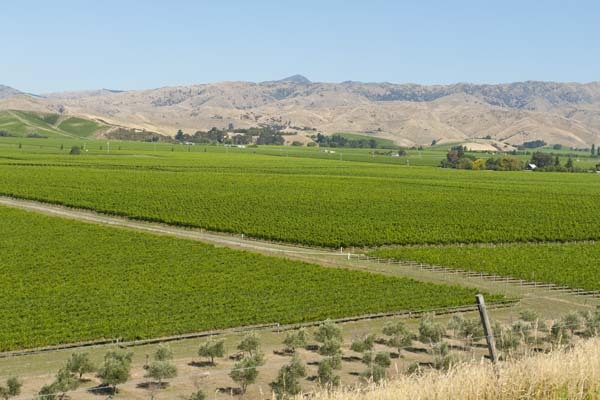 Reading New Zealand Winegrowers’ 2014 Annual Report, you get no sense that anyone is concerned about the over-reliance on one grape, or the poor quality of some of the examples emerging from the country’s biggest region. Its chair, Steve Green, argues that consumers have to be able to rely on the New Zealand name. “To break that trust,” he continues, “is to undermine the basis of our reputation and our national brand.” If I were Mr Green, I’d be starting to worry. Next post: Whatever happened to wine journalism?